Microsoft's E3 briefing has just been completed, and there was, as expected, lots of co-op news included. Perhaps the biggest story is the fact that not one, but TWO Halo games were announced. The first is the long-rumored Halo: Combat Evolved remake. Titled Halo: Combat Evolved Anniversary, the HD remake is coming to an Xbox near you on November 15, to commemorate the tenth anniversary of Halo's original release. Online co-op will be added, and all the classic maps return. It appears to be running on the Halo Reach engine. Remakes not your thing? Well, how about a long-awaited sequel? Halo 4 was the last game announced in the briefing. 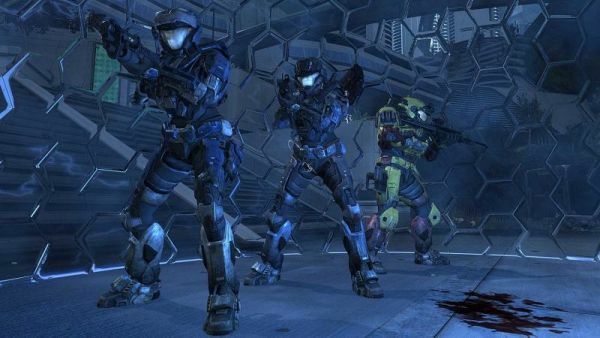 Master Chief will return sometime during the holiday season of 2012. This will be the first in a new trilogy of Halo titles. We will have more for you as soon as the news is released. Bungie's Halo games are among the most co-op friendly you will find; let's hope the next round of Spartan goodness is as good as what has come before.